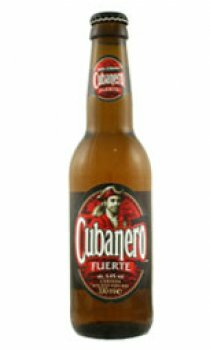 Brewed at the Bucanero Brewery, Holguin, and sold elsewhere as Bucanero, however due to trademark difficulties it is sold in the UK under the Cubanero Fuerte Label. On the last day of my holiday in Cuba I packed a single bottle of Bucanero as a momento and took it back home to my garage bar wondering if it was possible to get this stuff in the UK... And you can! It is simply a lager with a very \"punchy\" taste that can be enjoyed slowly. If it can be compared to another then the closest could be Estrella Damm. It goes great with food and it is such a shame that Cubanero or indeed Palma Cristal has not made it on to our shelves here.